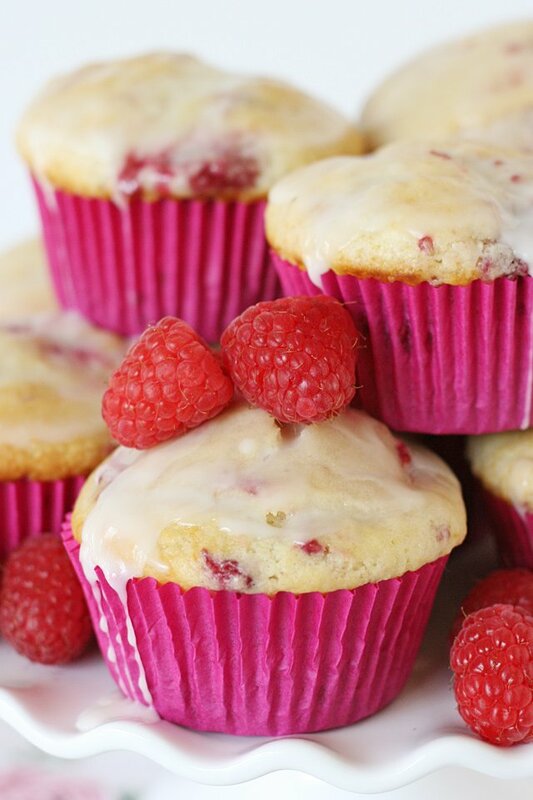 Sweet, tart and simply delicious, these Raspberry Lemon Muffins are a perfect little treat! These pretty muffins would be great as part of a breakfast or brunch menu, or simply as an afternoon snack! 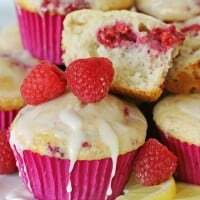 Fluffy and moist lemon muffins are studded with fresh raspberries for a deliciously fresh and tart combo. This is a perfect recipe to make use of fresh summer raspberries. 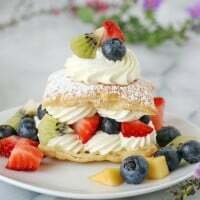 I think this recipe would be equally delicious with fresh blueberries, small blackberries or a combination of berries. Wouldn’t you love to see one of these pretty muffins greet you for breakfast? 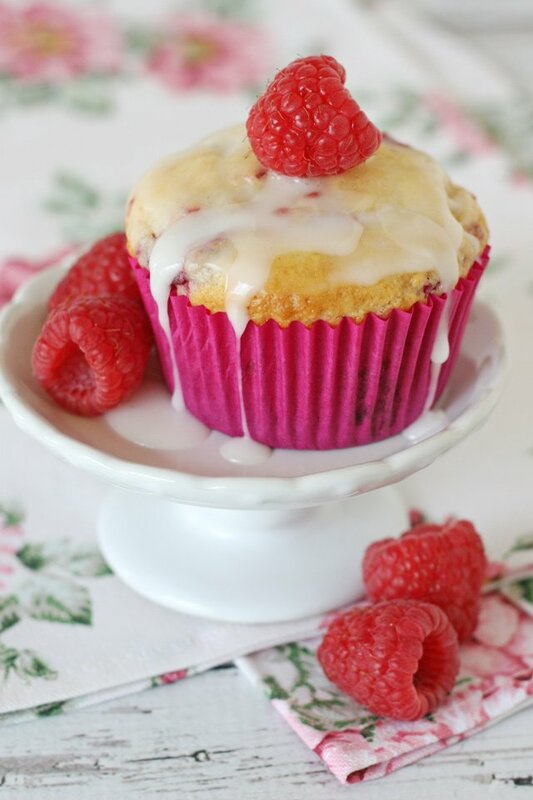 These muffins are sweet, tart, moist and fluffy and a perfect way to enjoy fresh summer raspberries. Preheat oven to 400*F. and line a cupcake pan with paper liners. Combine flour, sugar, baking powder and salt in a large bowl and set aside. 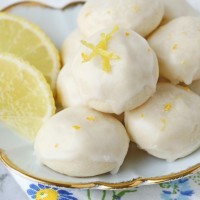 In another large bowl combine eggs, buttermilk, oil, lemon juice, vanilla and lemon zest and whisk until well combined. Pour wet ingredients into the bowl of dry ingredients and stir just until combined (do not over-mix). Gently fold in fresh raspberries. Fill cupcake liners 3/4 full with batter, place muffins in the oven and then REDUCE OVEN TEMPERATURE TO 375*F.
Bake at 375*F. for 18-20 minutes. 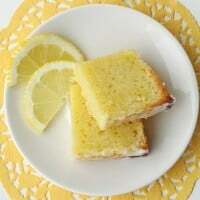 When the muffins have been baked, prepare glaze by simply whisking together the powdered sugar and lemon juice. When the muffins are cool enough to hold, dip muffins in lemon glaze, then allow the glaze to set while the muffins finish cooling. Notes - Preheating the oven to 400* before baking will help the muffins rise quickly and get a nice domed top. Be sure to reduce the baking temperature to 375* for the remainder of the baking period. I made this recipe using fresh raspberries so I'm not sure how frozen raspberries would work. I do think fresh blueberries, small blackberries, or a combination of fresh berries would work in this recipe. 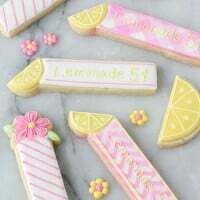 Supply note – Pink cupcake papers from Confectionery House. These look so good, Glory! I wish I had some right now! A perfect little muffin for summer! Yum! 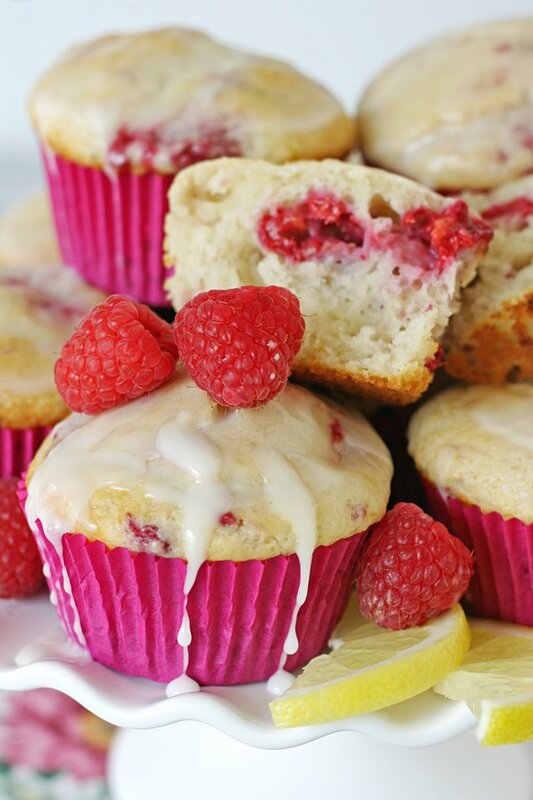 Lemon and raspberries.. Yummy! Must be delicious! These sound so amazing! I make lemon poppy seed muffins all the time and I was looking for a new recipe because I love lemon but needed to mix it up for family brunch this week! Thanks for sharing, I think my mom is going to love these! These sound so amazing! 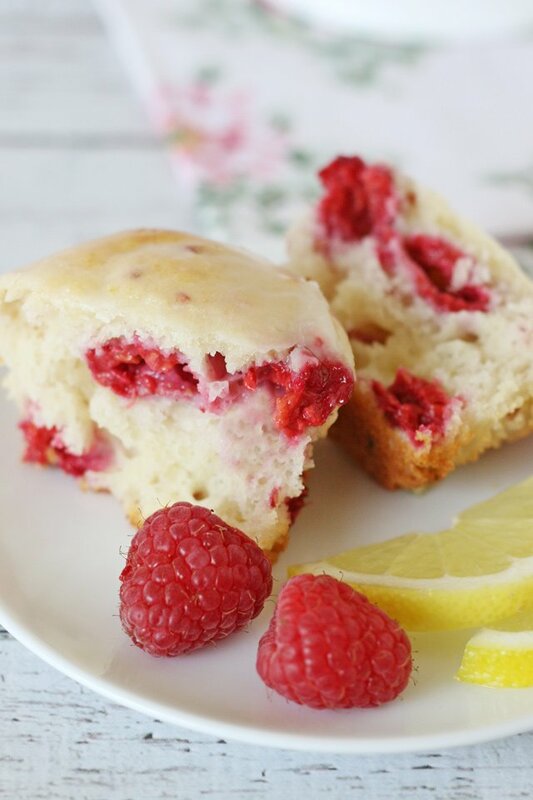 I love baking with raspberries and lemon!